Coin Invest trust, or CIT, is a reputable company that produces customized legal tender coins and medals. CIT has many popular coin and medal series which produces very unique designs. 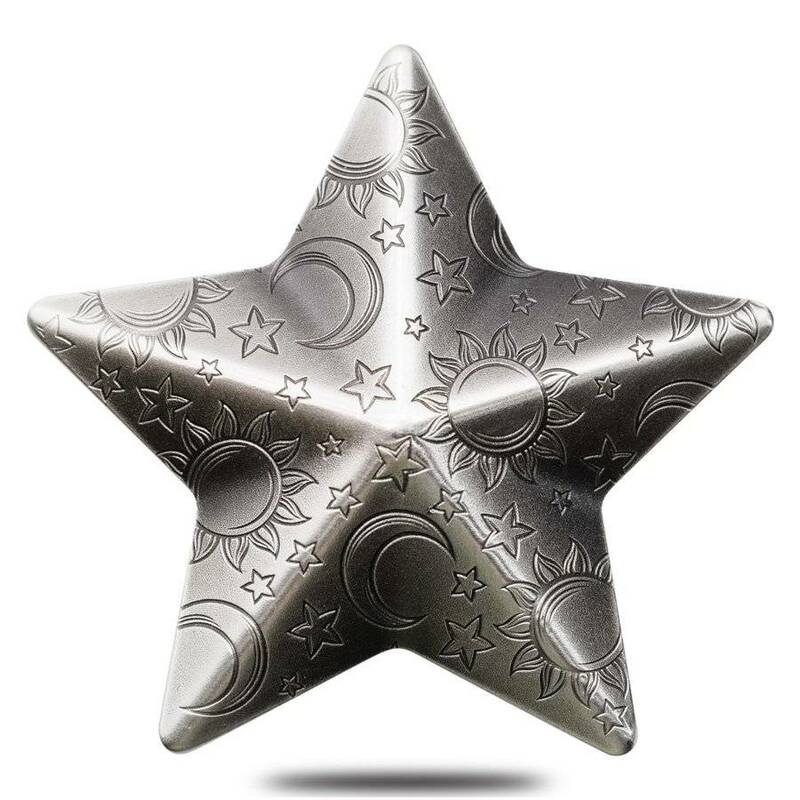 The 2018 1 oz Palau Twinkling Star Charm is the newest addition to their fabulous Silver Charm series. 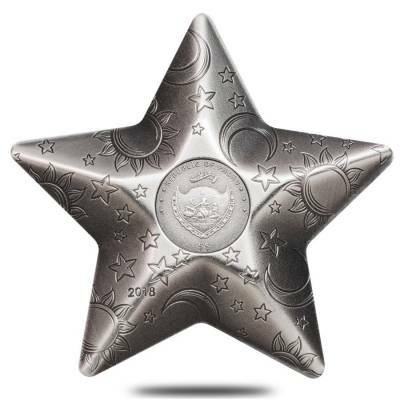 This 2018 Twinkling Star coin is a beautiful silver coin that would be a great addition to any collection. This Twinkling star is made from 1 oz of .999 fine silver and comes in an antique finish. This coin has a five dollar denomination and the low mintage of only 2,500 stars making this an attractive buy. The front of the star features a beautiful design of the sun, moon, and star ornaments. This is a 3-D star with an antique finish. The back of the star shows the crest of Palau along with the year and five-dollar denomination. Bullion Exchanges is proud to carry 2018 CIT products along with many other popular coins and medals from the Palau Mint. Add this beautiful star to your collection today. We will carefully wrap, package, and deliver it to your address. If you have any questions or concerns, send us a message through our website or email us at customerservice@bullionexchanges.com and we will be happy to assist you. With this purchase, you earn 150 Bullionaire Bucks 150 BB = $0.15. For every $1 spend, you will earn 1 Bullionaire Buck which is equivalent to $0.001 off a future purchase. 150 BB = $0.15.